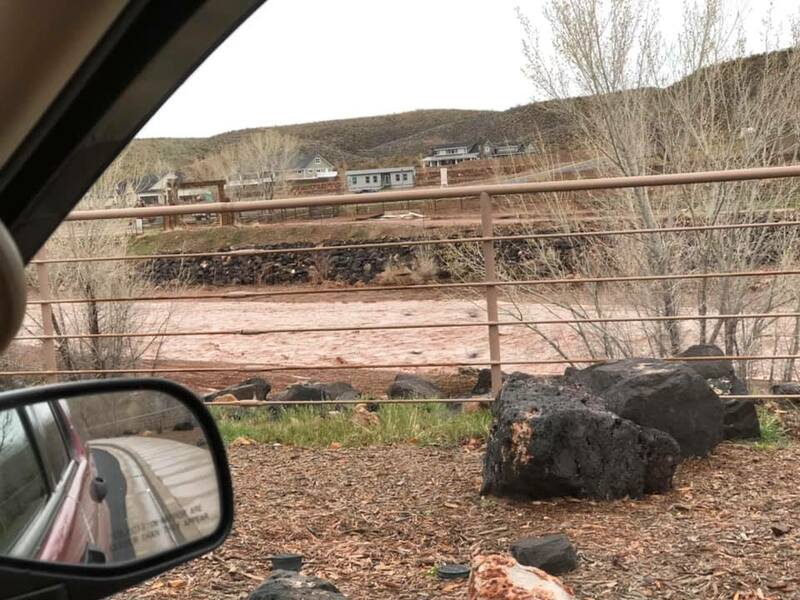 ST. GEORGE — After a Wednesday full of rain, swelling rivers and evacuated homes, while area rivers have subsided, a hazardous weather outlook is still in place for much of southwest Utah. 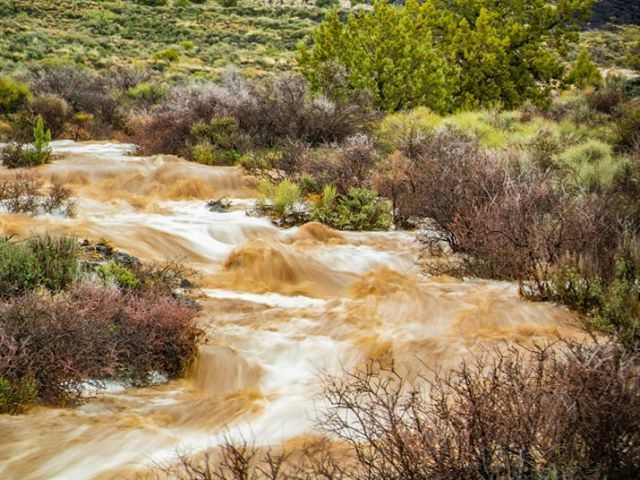 St. George (2,770 ft. elevation): .80 inches. Hurricane (3,239 ft. elevation): .66 inches. Enterprise (5,340 ft. elevation): 1.24 inches. New Harmony (5,625 ft. elevation): 2.06 inches. 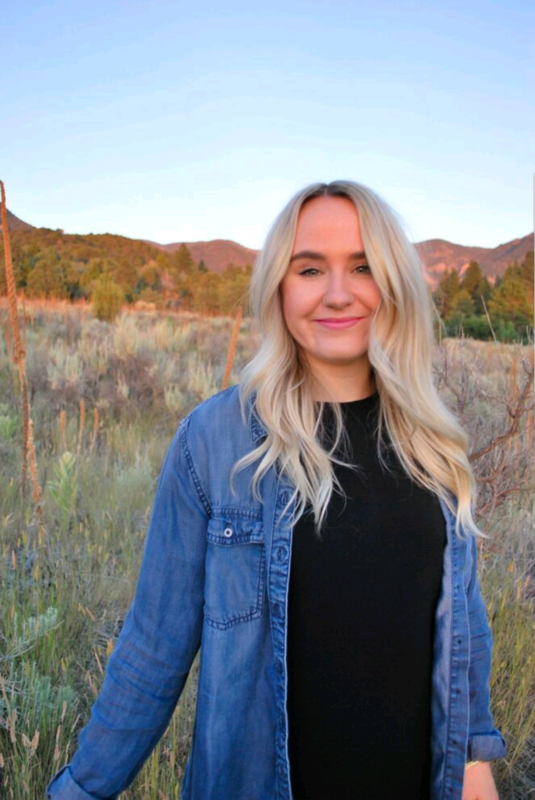 Cedar City (5,581 ft. elevation): .70 inches. For rain totals in other areas and cities of the state, click here. 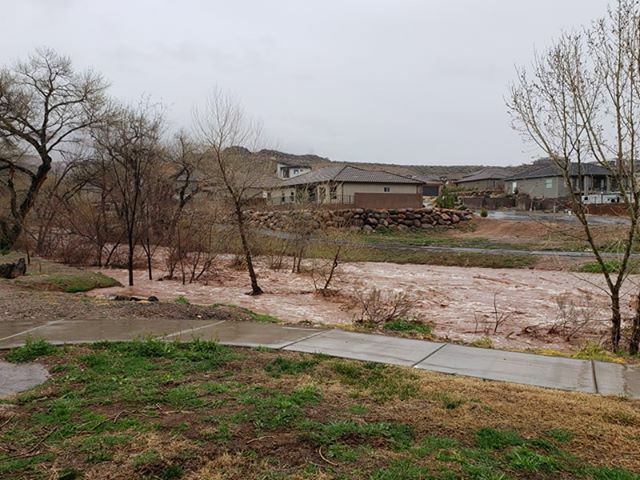 Several homes alongside the Santa Clara River in Brookside were evacuated Wednesday due to rising river water. Many fire departments aided in sandbagging around homes that were at-risk for flooding. 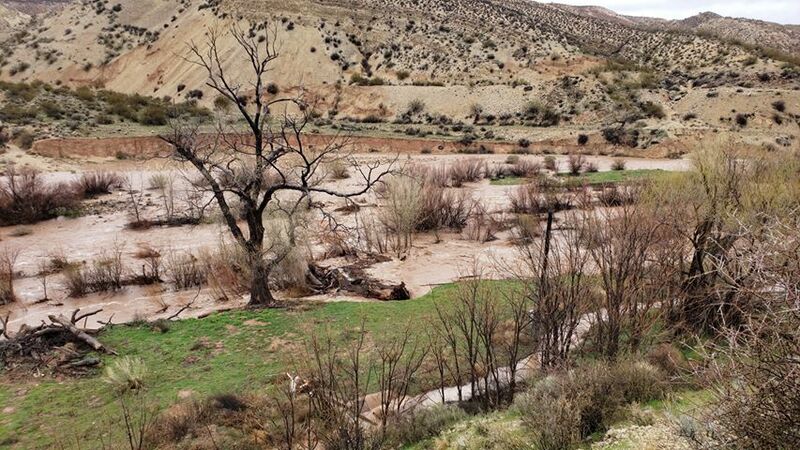 The hazardous weather outlook predicts that rivers and streams across southwest Utah will continue to run high due to Wednesday’s heavy rain. Flows in these waterways have begun to decrease with the threat of any additional flooding ending early Thursday morning. 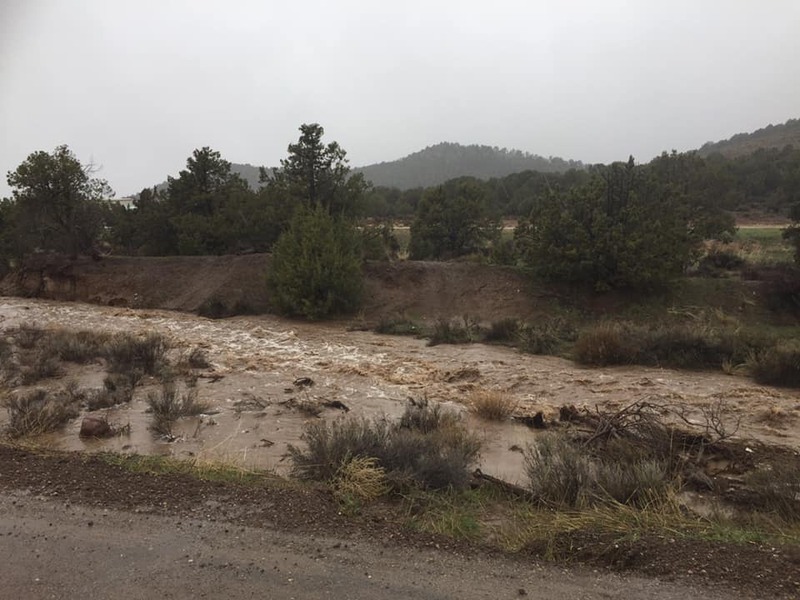 However, scattered valley rain and mountain snow is expected to continue in many areas of Utah, including Utah’s Dixie, Zion National Park, Glen Canyon Recreation Area, Lake Powell and southern mountains. However, the majority of precipitation is expected to stay in the central and northern part of the state until late Sunday, when a storm moving south along the California coast could spread rain and snow back into the southern part of the state. For up-to-date information on warnings and advisories, you can visit the National Weather Service-Salt Lake City office website. Additional information on winter driving can be found at the UDOT website, as well as UDOT’s Commuterlink for current road and weather conditions, or dial 511.